Hot weather will soon be here for the most eagerly awaited season of the year: the summer. This is when we enjoy our leisure and our holidays and spend more hours exposed to the sun, but we often forget the risks of this season. Because of this, whatever our plans we must be aware of these risks and follow certain guidelines so that our skin and our health are not affected. In this post we would like to give you advice and information and clear up any doubts you may have about proper skin protection. This will save you unpleasant long-term consequences. Be aware and protect your skin! The SPF or sun protection factor gives us the additional time that you can be exposed to the sun without risk of sunburn; this depends directly on your skin type and its self-protection capacity. It should be stressed that sunscreen is only efficient if you apply enough of the product to the skin. Be generous! Which is the best factor for me? As we have mentioned, the protection factors to use depend on your skin type. If you are very fair-skinned, use the highest factor (50+); if your skin is normal but on the light side you can protect it by using an SPF of between 30 and 50. You can use lower sun protection factors if you are dark-skinned or go brown very quickly. This information is for guidance only because if you spend all day in the sun, on the beach for instance, it is logical for you to use a high protection factor whatever your skin type. Remember: the more hours in the sun, the higher the protection factor. When should the sunscreen be applied? This point is often overlooked; it is advisable to apply the sunscreen at least half an hour before exposure to the sun. The main reason for this is that these products need time to penetrate the skin and to begin to perform their function as a protective filter. So remember to apply sunscreen before you leave home, or stop on the way to your destination. Go for efficient protection! It protects you according to the amount you apply to your body. For this reason we suggest you apply the product generously. It is essential to apply sunscreen to ensure you have efficient protection against the sun. Don’t forget parts of the body such as the back of your neck, your cleavage, or the back of your legs when applying the product. 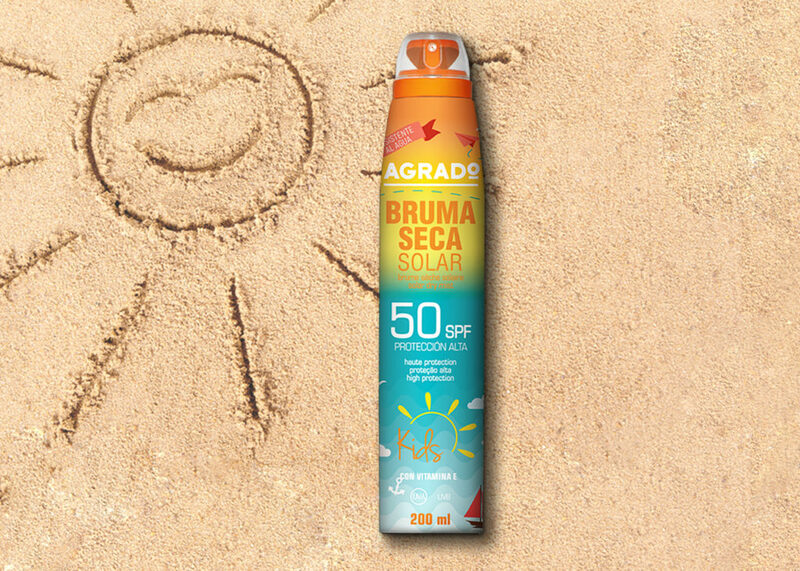 Application is much quicker and more convenient with 360º sprays such as those of our Agrado sun line. These are Solar Dry Mists with three different factors: SPF50, SPF30, and SPF15 in a handy spray format. 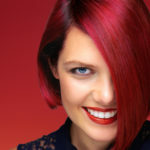 Their texture is very light, which makes them practical and quick to be absorbed. What should be taken into account when protecting children from the sun? Children have delicate skin that is more vulnerable to damage. The natural protection of their skin is not fully developed until after their teenage years. Moreover, as sunburn in children may leave its mark when they grow up it is important for children to use suncare products with high protection factors which are suitable for them. 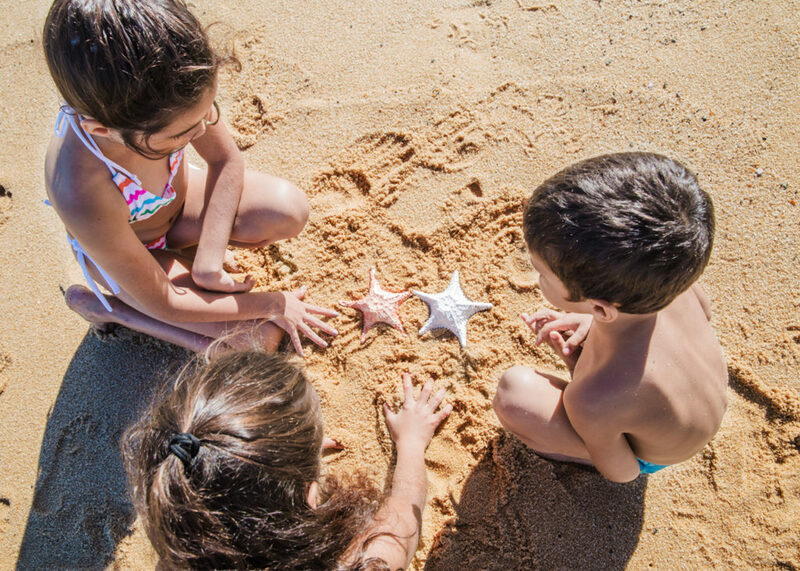 The product should also be waterproof because children tend to spend all day playing on the sand and swimming and are wet all the time. 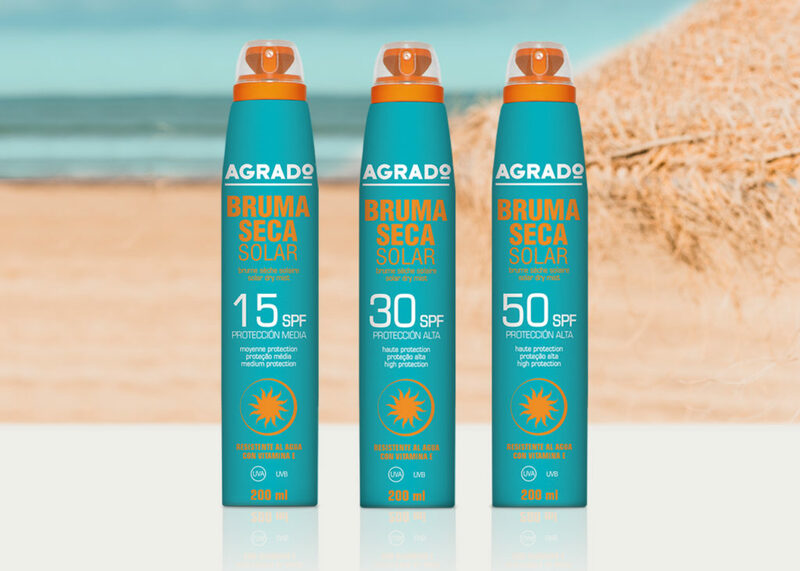 So as to maintain protection from the sun as long as possible, Agrado Cosmetic has launched on the market Solar Dry Mist SPF 50 Kids in spray format as part of its sunscreen line. It allows easy 360º application and quick absorption and is ideal for children. It is also waterproof as it has been designed to protect them while they enjoy themselves on the beach. If I use a high sun protection factor will I not go brown? This is totally untrue, although unfortunately many people still believe it. Their conclusion is that if they use a lower sun protection factor they will achieve a more intense tone of brown. They are quite wrong! Although you may take longer to go brown, it is better for your skin to use a high SFP that will help to protect you from sunburn and ageing of the skin caused by UV radiation. Is it true that you should keep out of the sun at certain times of the day? “Don’t sunbathe in the middle of the day, it’s very bad for you” is very important advice that is frequently heard. We usually spend all day on the beach and should therefore take care to do this to keep our skin healthy. Our advice is: get to the beach early and either find a place with natural shade under palm trees or bring a sunshade. Use a high protection factor sunscreen and apply it to all parts of the body approximately every two hours. This will mean that your skin will not suffer so much if you’re going to be exposed to the sun all day. This is the end of today’s post on the importance of sun protection. We hope that we have cleared up doubts and that you act on our advice this summer for the sake of your skin. Don’ forget to leave your comments here on the blog.